This contribution photo from swc of a Hawk Moth taken in his flower garden in New Brighton. The wings of this moth are clear, it sips nectar from flowers and the wings beet extremely fast. 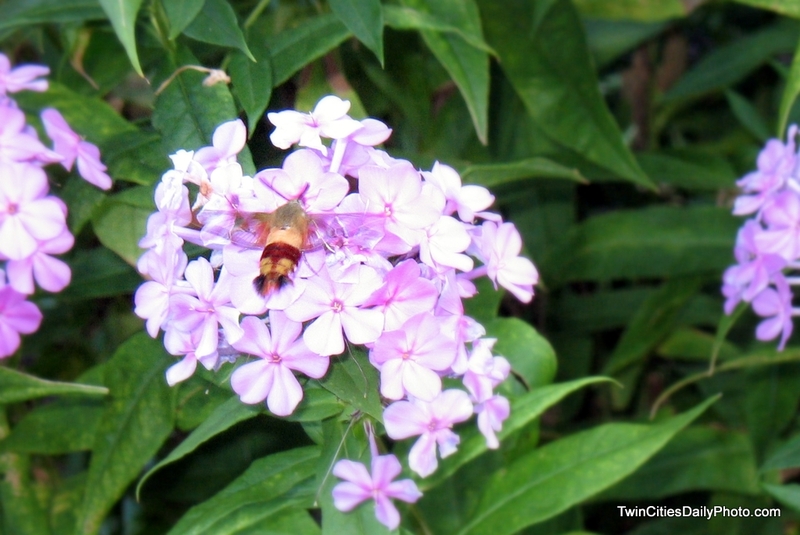 Not surprisingly, it's also been called a hummingbird moth. Now to me, it looks similar to a crawdad, but with wings. Getting a clear photo was a bit difficult with the moth buzzing around as fast as it was. Another recent photo of the Hawk Moth can be found on Abe's Brookview Daily Photo site. Abe's photo was viewed by swc and to his surprise, he found one a couple days later, otherwise, we would be guessing what kind of moth this was.